Some would say Sitting on a Beach Sipping Mai Tai’s is the Number one activity in Oahu, Maybe they are right but we would argue Sitting on a beach is not an activity, so the top spot has to go to Snorkeling instead. Snorkeling in Oahu, Hawaii is a big attraction and with Stunning Coastlines, incredible Bays and Reefs, and a dazzling array of undersea creatures to admire it is easy to see why. Add to this year-round warm sea temperatures and an accessible island that normally has at least one or two perfect spots on any given day and Oahu has a lot going for it in the snorkeling stakes, It may be a little behind Maui in the sheer number of incredible spots but it’s best spots can really hold their own. Take a dip into our Snorkeling guide for everything you need to know about Snorkeling on Oahu and you will not be disappointed. Locations – Oahu has some really excellent Snorkeling opportunities. However, the built-up areas around Honolulu and the rough nature of the north shore mean they are not as numerous as Other Islands such as Maui. However, when the Snorkelling is good it’s fantastic. Our guide will be sure to get you to all the best Spots. Equipment – Good Kit can be the difference between a wonderful and life-changing snorkeling experience and hating every minute of it. A leaking Mask, water in you snorkel or fogging up can ruin your trip so getting the right gear is a must. Out Equipment guide will walk you through everything you need to know. What To See – Oahu’s Waters are filled with a stunning array of beautiful and colorful fish, along with majestic Sea Turtles, Dolphins, Whales and a host of weird and wonderful Critters. 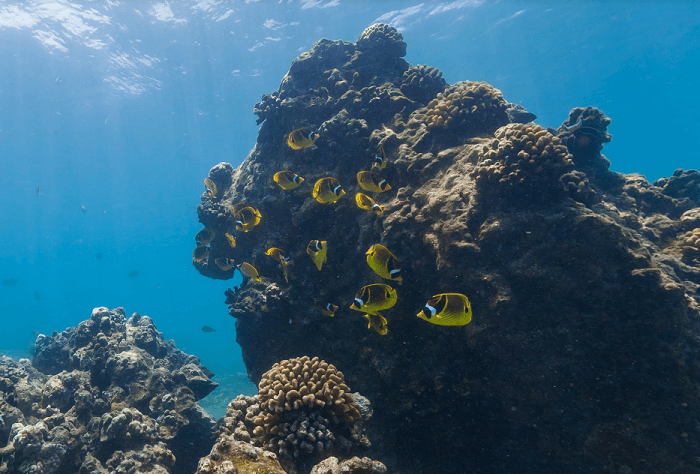 Tips – If you are Just Starting out Snorkeling or are new to Hawaii’s Remote Waters then this guide should help you get started and get the best out of your Hawaiian Snorkeling adventures. 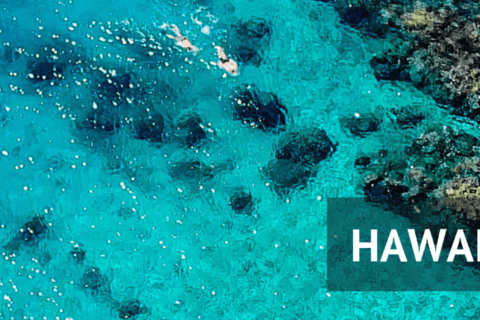 Safety – However serene and calm Oahu’s stunning blue water appear, the Ocean is still a dangerous and wild place. While on the Most part Snorkeling is perfectly safe there are real dangers and tourists are on occasion victims of tragic accidents, read out Safety guide to avoid the danger and pitfalls of snorkeling in Paradise.